Trees are critical in protecting the ecological health of the planet and counteracting climate change. 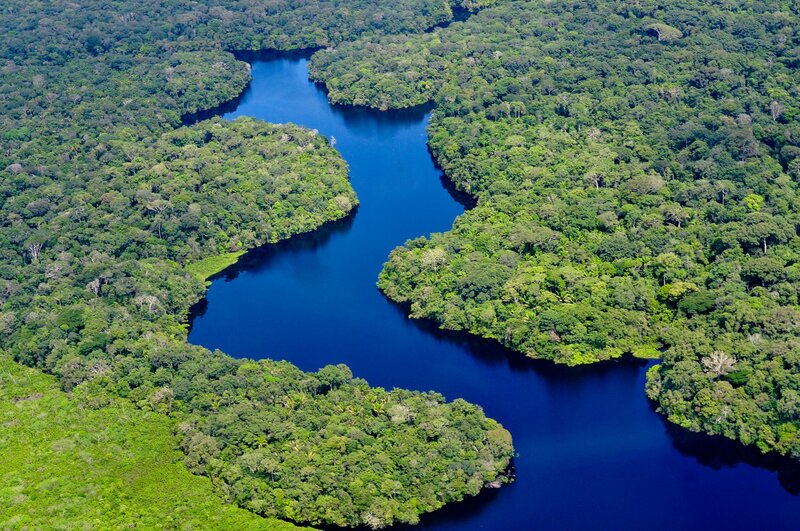 The United Nations’ Global Goals calls on countries to promote forest growth. You can join us in taking action on this issue here. Forty football fields worth of tropical forest are lost every minute, but it appears that the world actually gained trees between 1982 and 2016, according to a comprehensive study published in the science journal Nature. After studying more than 30 years worth of satellite images, a team of researchers concluded that global tree cover had increased by 7%, or 864,868 square miles, approximately the combined size of Alaska and Texas. The finding might seem to contradict other reports that show staggering levels of deforestation over the past century. For instance, the World Resources Institute recently came up with that startling football field statistic in an annual report on tropical forests. But the two reports aren’t actually in conflict with each other. As the world loses unsustainable levels of tropical forests, tree growth is rising in previously inhospitable places like deserts, tundra areas, and in cities. Some of that tree growth is simply due to humans planting seeds in soil. Pakistan, for instance, has been able to plant billions of trees in recent years. Another part of the growth comes from trees reclaiming land abandoned by humans. The biggest driver of tree growth, according to the report, is climate change. As the world warms, landscapes are changing and trees are able to take root in new areas. Trees are critical in the global fight against climate change, but they’re also highly vulnerable to the phenomenon. As a result, the new study isn’t entirely good news, especially because it shows how tree growth on its own can’t counteract the accumulation of greenhouse gas emissions in the atmosphere. It also shows how rapidly the planet is changing. In recent months, record-breaking forest fires have broke out in California and throughout parts of Europe. Glaciers throughout the Arctic, Greenland, and elsewhere, are disintegrating, destabilizing water networks around the world. And warming oceans are rearranging fish populations in ways that are undermining transnational treaties. 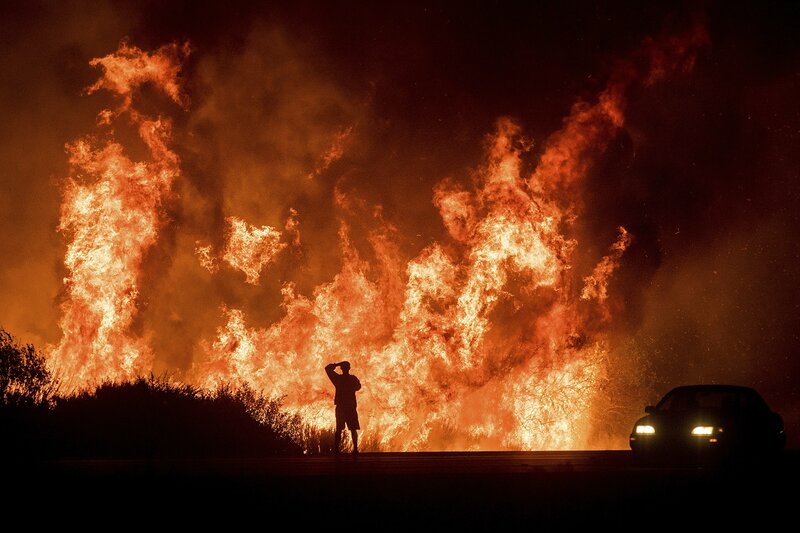 A motorists on Highway 101 watches flames from the Thomas fire leap above the roadway north of Ventura, Calif., on Wednesday, Dec. 6, 2017. As many as five fires have closed highways, schools and museums and cast a hazardous haze over the region. To reverse this ecological decline, there’s only one real solution — reducing greenhouse gas emissions. Through the Paris climate agreement, countries are asked to keep global temperatures from rising from more than 2 degrees Fahrenheit above pre-industrial levels, a goal that seems increasingly out of reach. If we go beyond that number, then trees will continue appearing in places that once seemed impossible and vanishing from places that once seemed ideal.